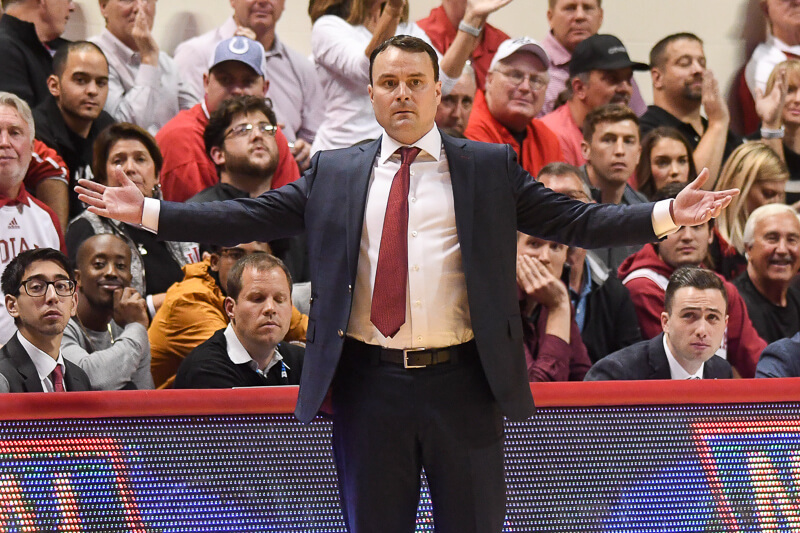 Monday night’s edition of the Archie Miller radio show included reflections on a week that included an IU win over Marquette and a nail-biting loss to Arkansas. Miller discussed his impressions of the team four games into the year, the freshmen making an early impact, injuries, and much more. • Miller was pleased with the way his freshmen, namely Romeo Langford and Rob Phinisee, played in the Marquette game. Langford and Phinisee were plus-28 and plus-23, respectively against the Golden Eagles, and each was instrumental in keeping Indiana’s offense humming. “You could tell that when those guys were on the floor, they had something good going on,” Miller said. • The loss to Arkansas marked the first road test and the first dose of adversity for the Hoosiers. Miller said that the environment in Fayetteville was a difficult one to play in, and that Arkansas’ pressure sped Indiana up and made the Hoosiers play out of character. Rather than taking advantage of the advantages the full-court press allowed, Indiana became hurried instead. “I thought their defense really pushed our offense out,” Miller said. • In particular, Miller felt that Davis was pivotal in IU getting back into the game on Sunday, and the big man has been making strides toward full health. The last two games have been Davis’ highest minute totals of the young season, and Miller felt that he was the team’s best screener in those contests. He also noted Davis’ defensive performance on Daniel Gafford and unselfish play on offense as highlights of the Arkansas game. • Davis has cut down on fouling this season, and while part of that is due to reduced playing time, Miller also sees improvement in the way Davis is defending. The coaching staff emphasized staying vertical while contesting shots and remaining disciplined throughout possessions, and Davis, so far, has responded. • In addition to McRoberts and Green, Jerome Hunter appears set to miss extended time with a lower leg condition. The program is still waiting on a definitive time table for Hunter, who is still at the Cleveland Clinic and will have more information once he leaves the hospital. The coaching staff flew to Cleveland after the game against Arkansas to check in on Hunter, and Miller is hopeful that the freshman will rejoin the team on Wednesday. “Hopefully this is one of the humps that he overcomes,” Miller said. • Green and McRoberts are both day-to-day, while Race Thompson will be out for the foreseeable future as he goes through concussion protocol. Miller described Green and McRoberts as “vital” to IU’s success, and emphasized the importance of depth as a means of additional production and keeping players fresh. “We’re only going to be as good as our deepest team can be,” Miller said. • On IU’s 55.6 percent shooting from the field, the third best mark in college basketball: “We just continue to try to harp on getting good shots,” Miller said, adding that an inside-out approach predicated on dribble penetration, kickout passes, and transition scoring has led to high shot quality. While IU’s halfcourt offense can occasionally bog down, having go-to scorers like Langford and Morgan has helped smooth any rough edges. • Miller also feels that Indiana can remain an elite three-point defense. The Hoosiers currently rank second in the nation in that category, and Miller says it begins with staying in front of the ball and preventing catch-and-shoot looks as a result of liberal help defense and contesting every shot. “Making shots challenged is always the goal for our defense,” Miller said. • Speaking of which, Indiana held Markus Howard to a relative off night last Wednesday, which Miller attributed to making the guard feel pressure as soon as he crossed halfcourt, preventing him from gaining a head of steam toward the basket or pulling up for three. Durham and Phinisee were crucial in that endeavor, and Miller was proud of how those guards took on that challenge. After the first few minutes of the game, Miller felt IU was able to establish its presence on defense and take away some of Howard’s confidence. 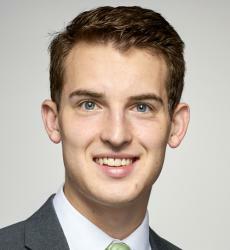 • Finally, Miller briefly previewed IU’s matchup with UT Arlington on Tuesday. He expects the Mavericks to play similarly to Arkansas, applying heavy ball pressure, denying passing lanes, switching screens, and playing extremely hard for the duration of the contest. Arlington has plenty of skilled guards, and Miller says he looks forward to the challenge of stopping them.